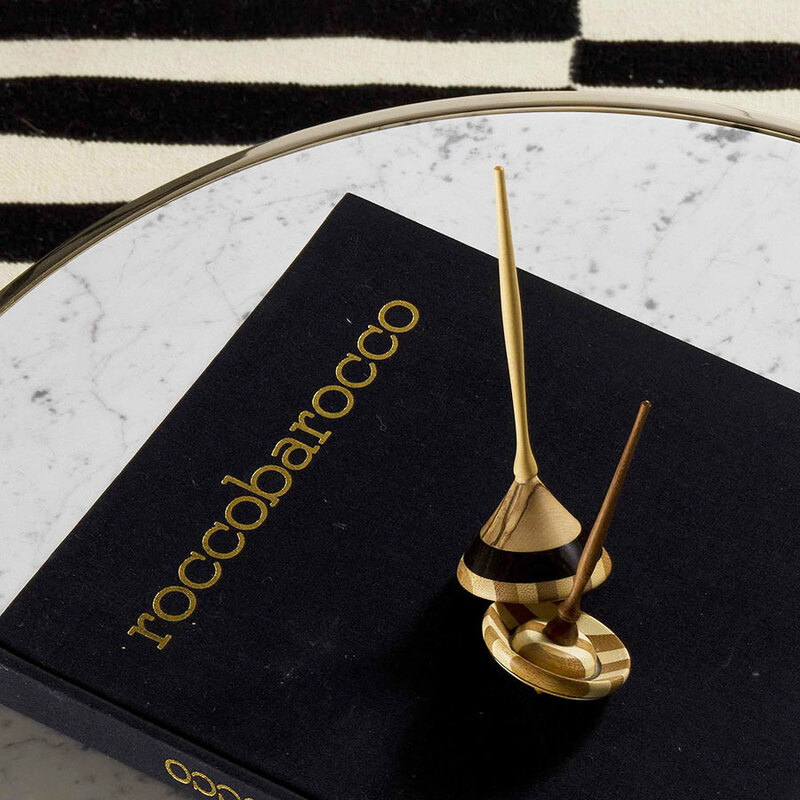 Fiocco and Granfiocco are round marble top side tables with a golden metal structure. They are designed to suit a classy living room, an elegant reading corner or a designer sofa. Created for a refined day area, they match with modern or classic style furniture, offering a handy support for books, remote controls, cups, magazines. 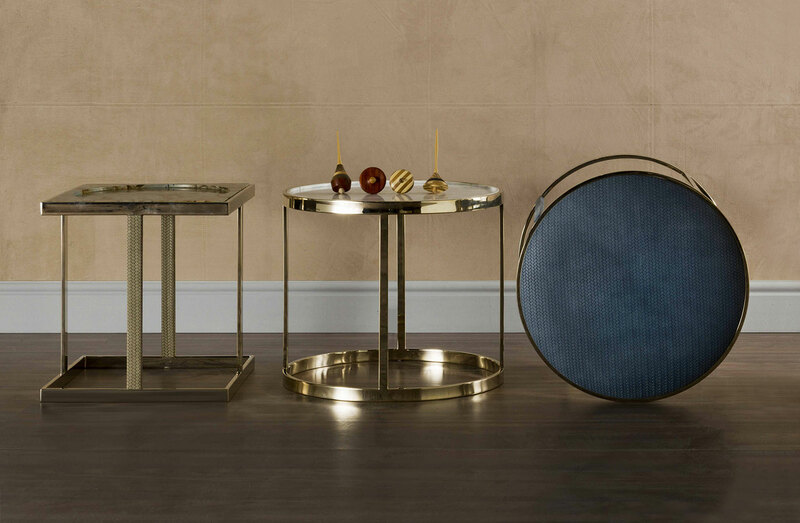 At Amerigo Milano we love to design and manufacture objects that are able to fit your specific needs, complements or pieces of furniture able to bring your identity into your space and make them unique. 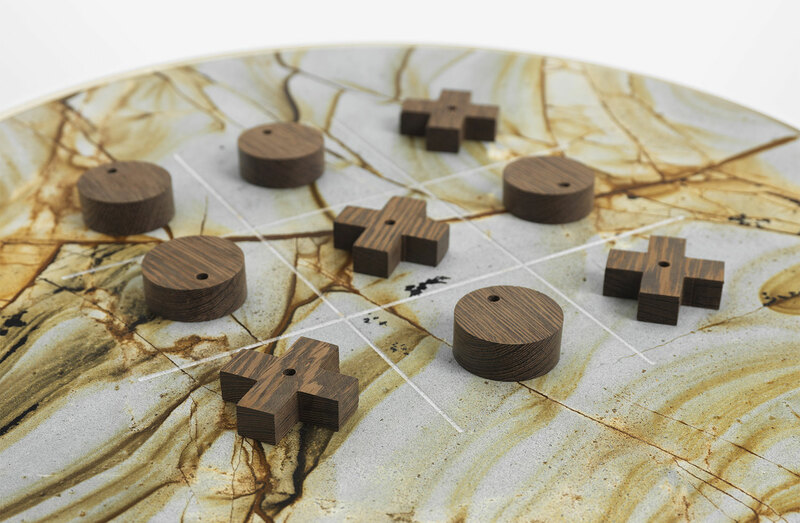 We picture a vibrant house, inhabited by choosy people who always look for the best: it’s by imagining this kind of environment that we have designed a metal and marble coffee table that it’s also a gameboard for spinning tops and tic-tac-toe. 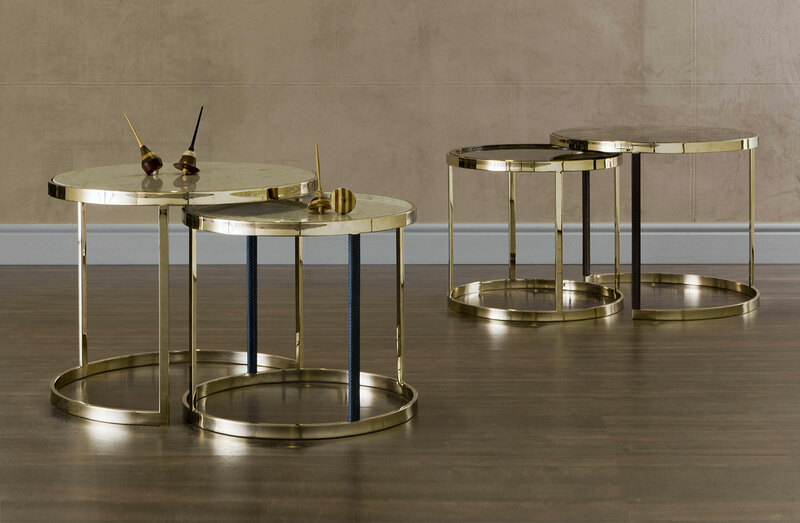 These nesting tables are infused with tradition, conviviality, and also with the desire of redefining the value of our time. We want to be able to carve out a little time every day for ourselves, freed from technology and connections, with a piece of furniture and vintage toys to keep us company. 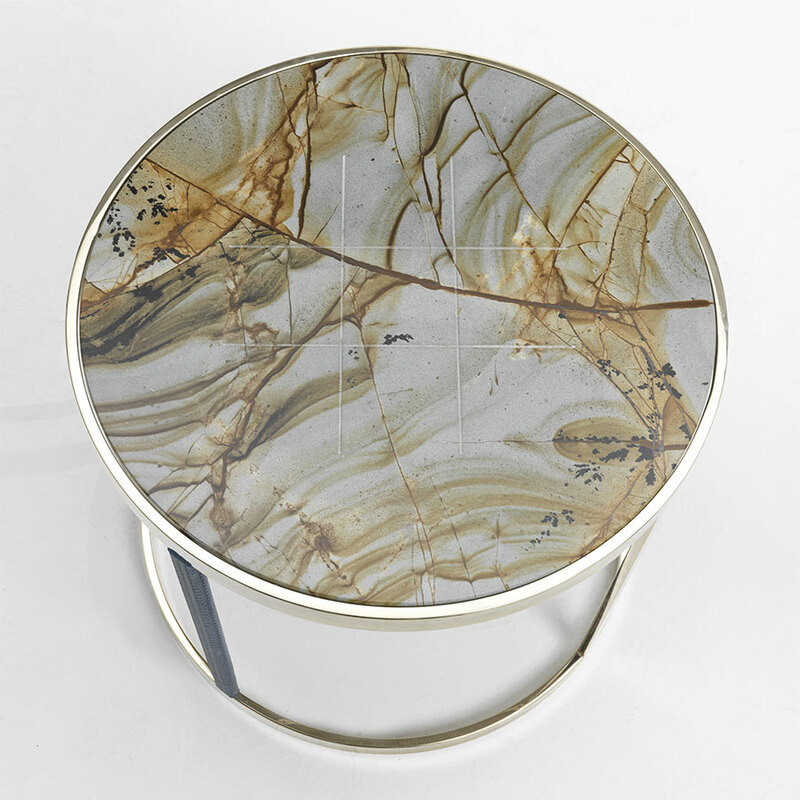 The side tables shines of its own light thanks to the golden structure and the natural opalescence of the marble. 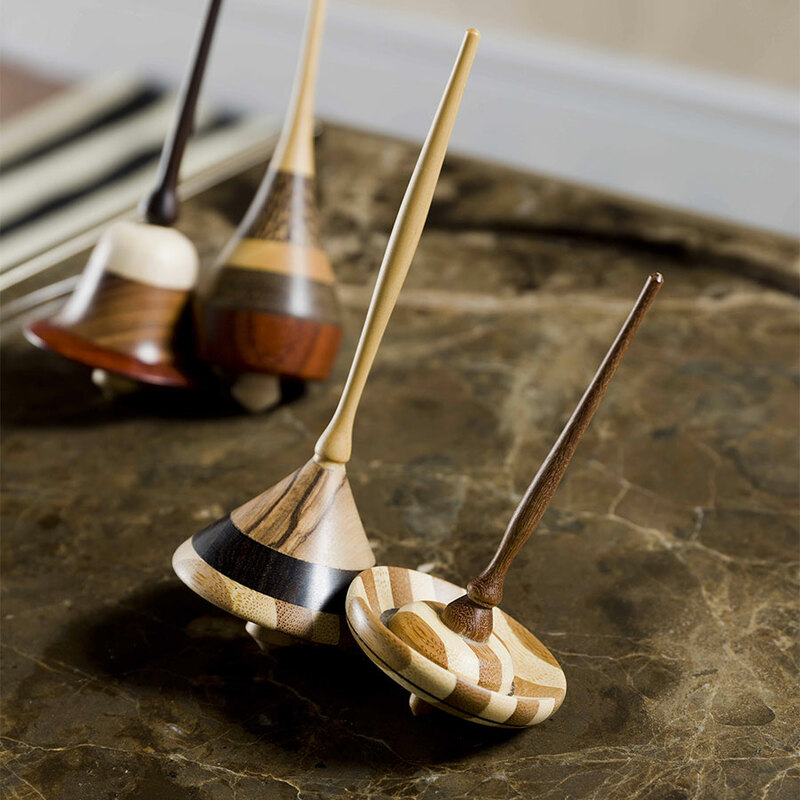 Touch of class: the carved surface to play with tic tac toe or spinning tops sets. 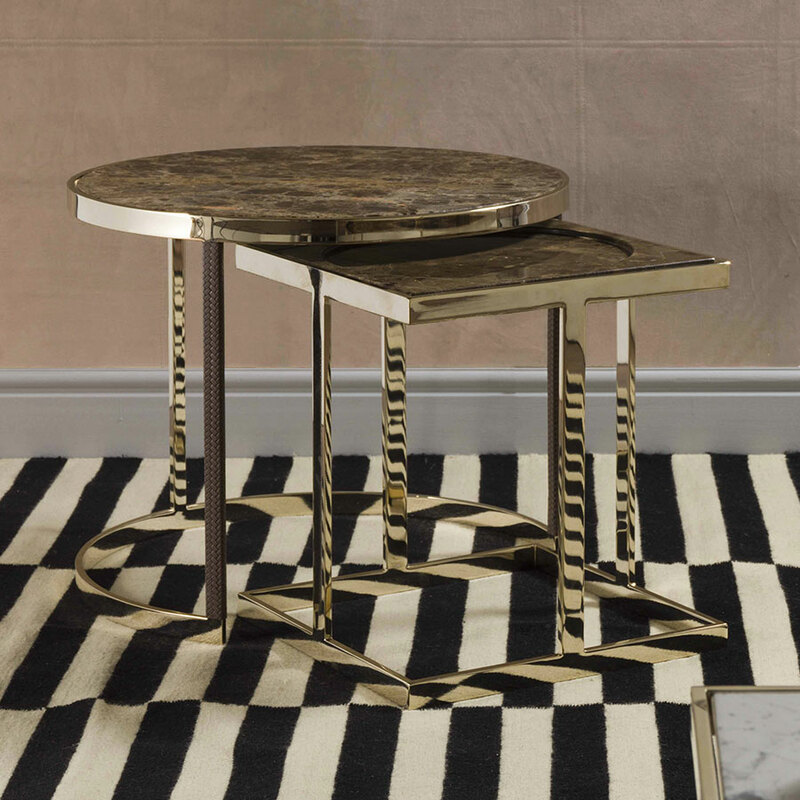 Pure Carrara marble, charming Dark Emperador, exotic Roma Imperiale make these end tables stand out working as a focal point. A unique jewel-furniture made to impress and last in time. A long lasting, sturdy material, marble has been used throughout history in the building of aristocrats’ palaces and temples. 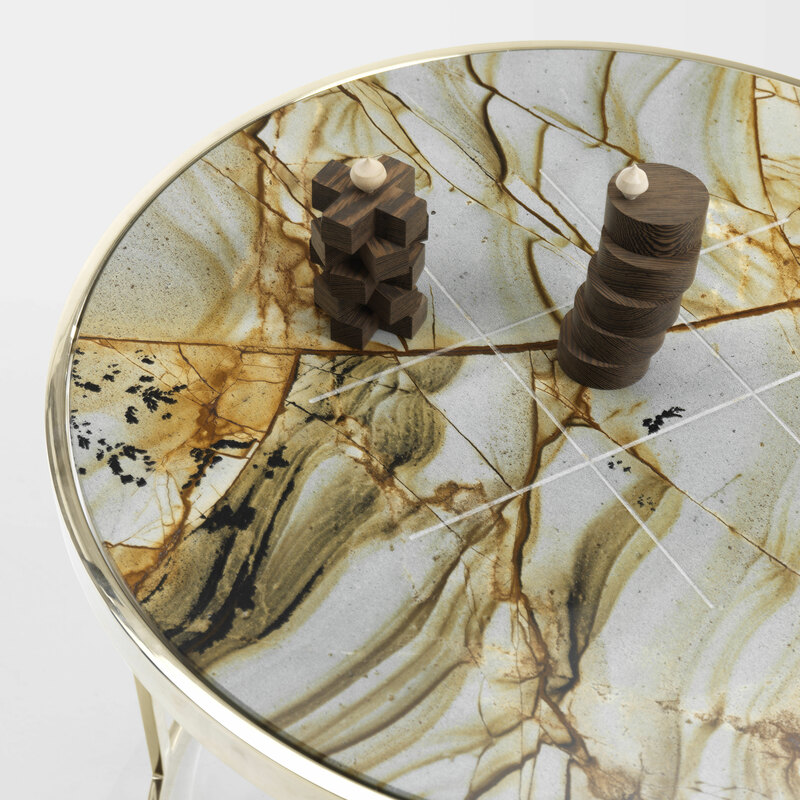 A marble coffee table brings with it the history of Italian architecture and handicraft, the halo of ancient times and the majesty of historic homes. Marmaros, from the greek «shining stone», suggests how for many centuries this material has enchanted men and women thanks to its bright and delicate look. 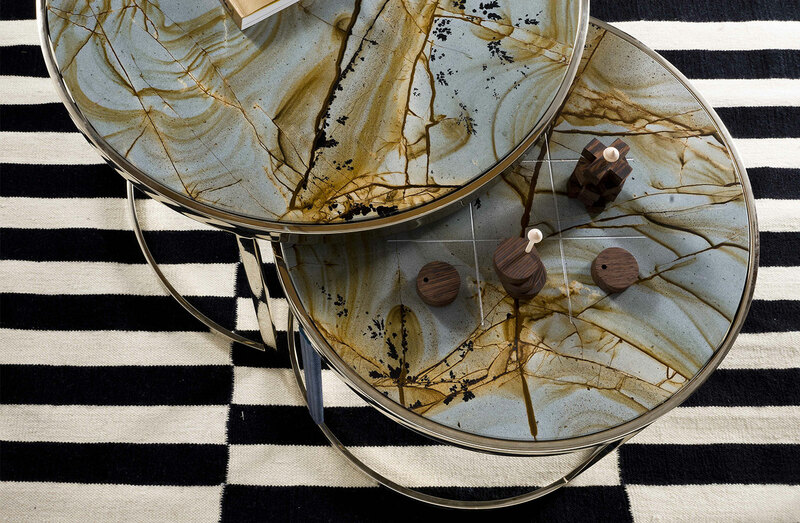 The uniqueness of each of the marble tops makes every coffee table a one of a kind piece. The delicate carving of the top allows to play with spinning tops or tic tac toe. Tiny toys designed down to the smallest detail in order to look like little sculptures. The half-moon shaped base of Granfiocco is designed to accommodate the lower model Fiocco or an ottoman underneath. An elegant space saving combination you can customize as you please. 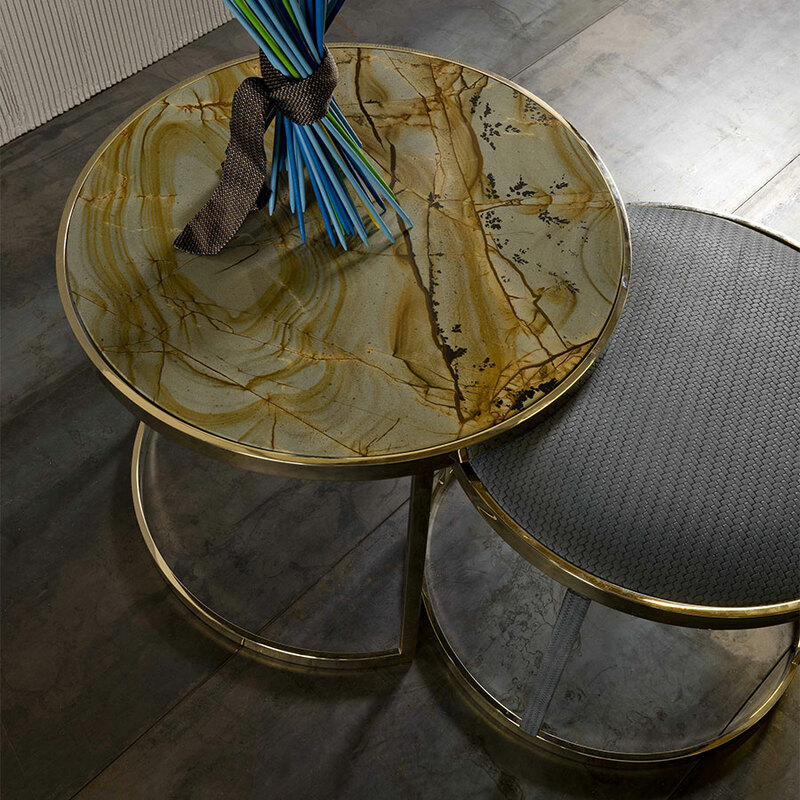 Take a moment to lay back and relax: pull the marble side table and a pouffe together, pick a toy, play and contemplate. Find the time to cultivate your passions. Nothing here is left to chance. 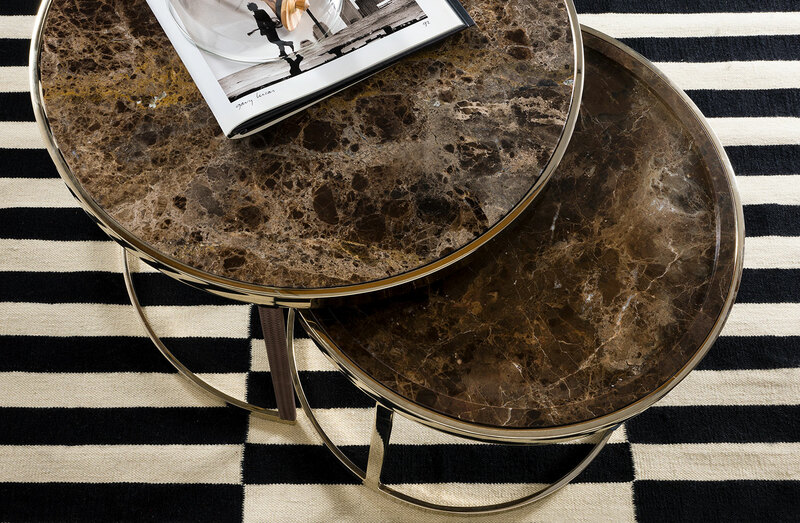 When a marble coffee table is handcrafted by our skilled artisans, there’s no space for doubt. It is all a matter of know-how and deep knowledge of materials and processes. 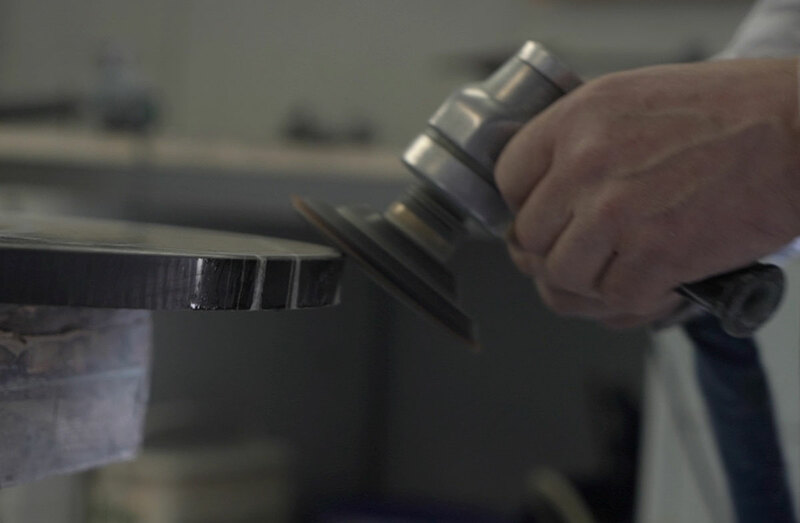 Fiocco and Granfiocco are completely handcrafted by skilled artisans, smiths, masons and carvers. 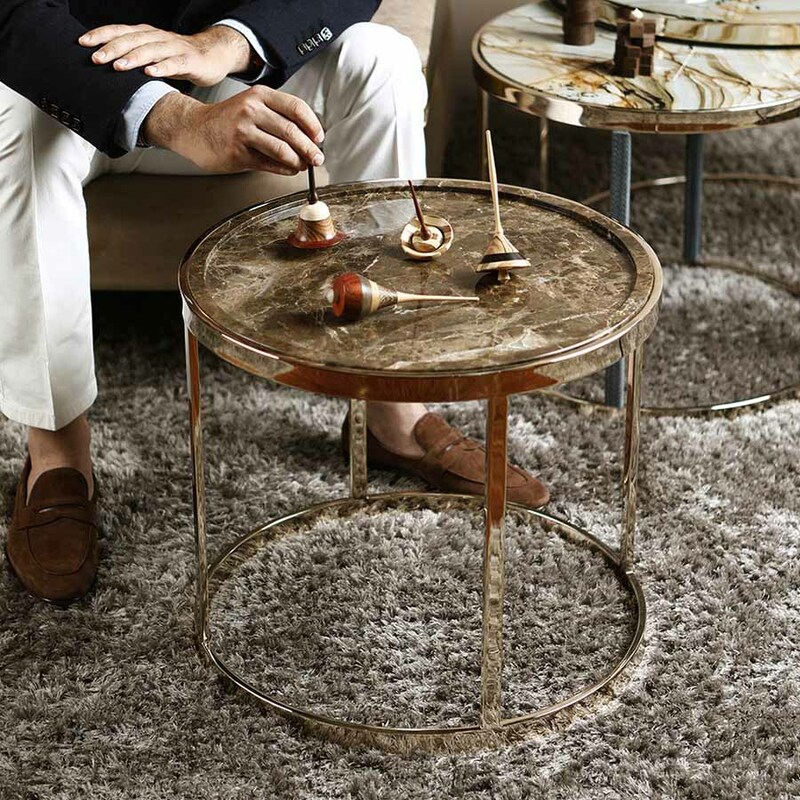 The two round side tables feature a golden metal base made of a thin yet tough structure, and a marble top which can be carved to become a game board for spinning tops or tic tac toe. 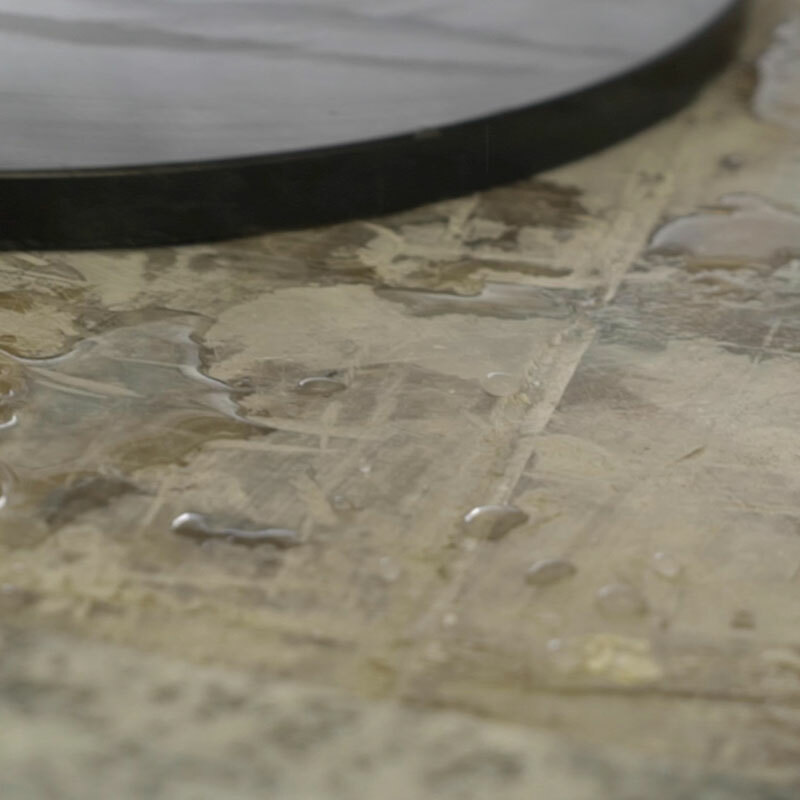 The top can be chosen among three varieties of marble: Carrara, Dark Emperador and Roma Imperiale. 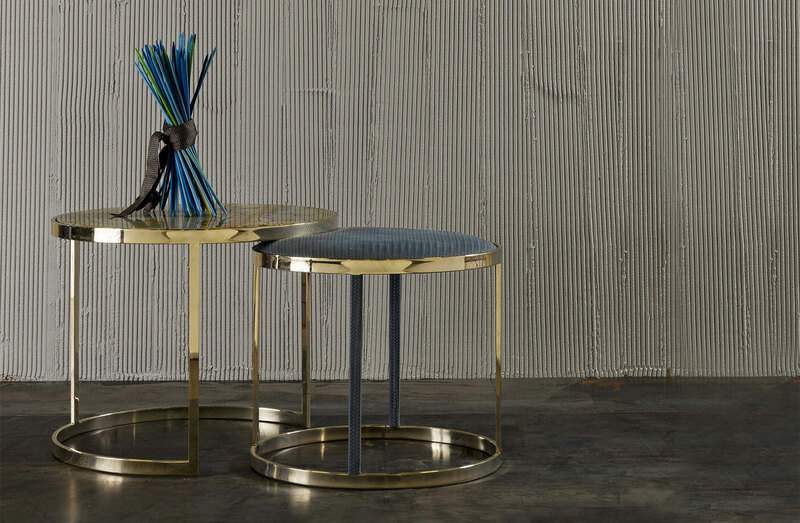 The metal base can be enriched with a woven leather covering. Combine these features and bring your personality into our design.